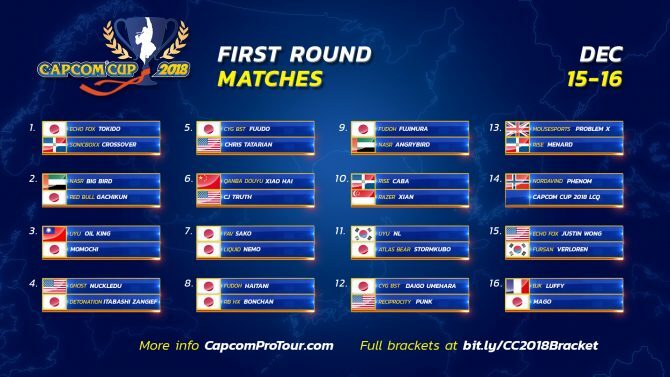 Problem X, Fujimura, and Daigo "The Beast" Umehara are among the heavy hitters lined up for Capcom Cup's finals next weekend. This month is all about fighting games! Not only were a slew of characters announced at the end of Tekken World Tour last weekend, but Super Smash Bros. Ultimate just landed on Nintendo Switch, and the gruesome trailer for Mortal Kombat 11 was also revealed at The Game Awards 2018. 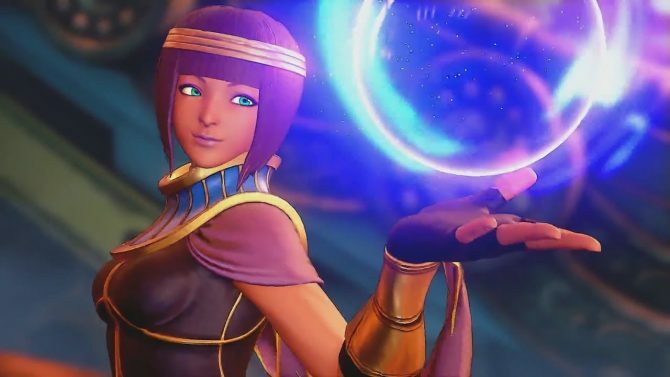 To top it all off, we’re only a few days away from one determined and talented player claiming the pretegious title of Street Fighter V: Arcade Edition World Champion at Capcom Cup 2018. The long-running Capcom Cup Pro Tour has seen a ton of events dotted across the globe spanning from Chicago and Texas all the way around to Dublin, Ireland. However, all good things must come to an end, and next weekend 32 players are willing to battle it out for their shot at the top prize of $250,000. The tournament is looking to be an intense display of skill featuring some of the greatest players of this generation. Among them is Evo 2017’s champion Tokido who’s aggressive Akuma will be facing off against Crossover. Japan’s Fujimura currently plays the world’s best Ibuki and he will find himself up against AngryBird. Amaerica’s Punk will be taking on legendary player Daigo “The Best” Umehara while Britain will be represented in the form of this year’s Evo champ; Problem X. Of course, as with any major eSports event, there will be a cast of announcers supplying colorful commentary, useful data, and witty banter through the weekend. 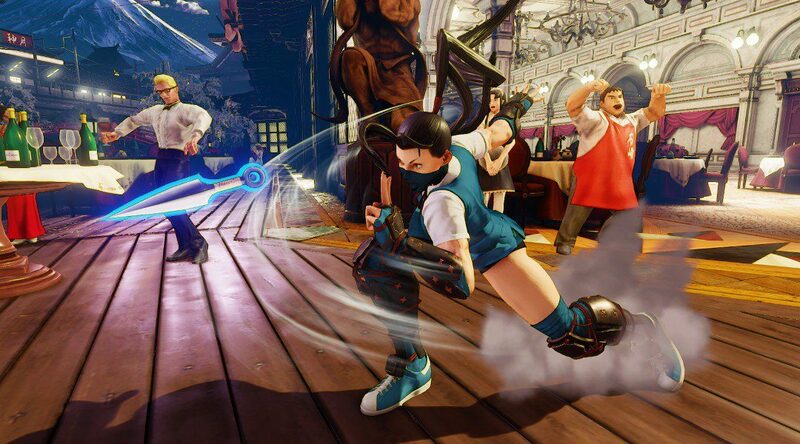 This year will see eight well-known characters taking the hot seat including UltraDavid, Viscous, JakyoManor, TastySteve, Sajam, Yipes, LoganSama, and James Chen. The final leg of the Capcom Cup 2018 will kick off on December 14, 2018, live from the eSports Arena in Las Vegas. You can find the full 32 player bracket in the image below. 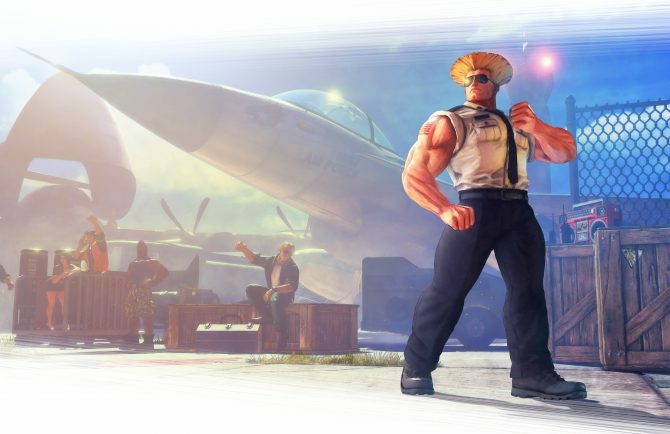 Street Fighter V: Arcade Edition is available now on PlayStation 4 and PC. You can pick up a copy of this competitive favorite via Amazon. 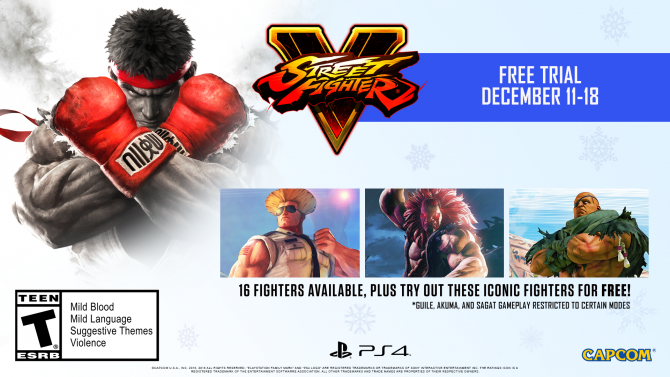 The game will also be available to play for free for a limited time to coincide with the Capcom Cup.